Martin Tucker focuses his practice on corporate and transactional matters and is located in Dinsmore's Lexington office. Marty knows banks and banking and the practical legal and business issues facing his creditor clients. His versatile creditors’ rights expertise enables him to assist his clients with everything and anything – from their most difficult challenges to a wide variety of everyday issues and problems. 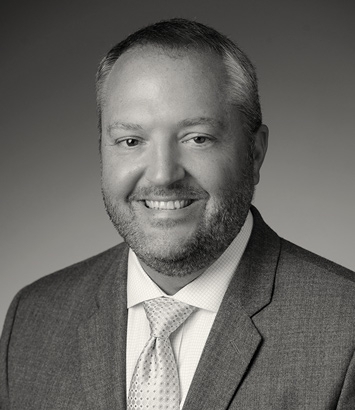 His experience has developed more than 15 years in contested litigations, complex bankruptcies, real estate and general transactions while appearing in federal courts in the largest cities in the country as well as state courts in the smallest counties throughout Kentucky. Marty’s experience as a leader in creditors’ rights law is recognized by clients, other lawyers and even judges sitting in state court, federal court and Bankruptcy Court. His clients include national, regional and community banks, credit unions, real estate and other collateral-based lenders, private equity and similar interests, special servicers, property owners, property managers and landlords, receivers and title insurers. Marty advises his diverse clientele on similarly diverse matters including: general creditors’ rights (lender liability defense, actions against borrowers and guarantors, writs of execution/writs of possession, wage and non-wage garnishments, asset depositions and investigations, fraudulent transfer investigation and prosecution, and settlements); bankruptcy (commercial and consumer Chapter 11, 7, 13 or 12); workouts (forbearance agreements, deeds in lieu of foreclosure, loan assumption/modification, loan sales and assignments); and foreclosure/collateral actions (judicial and non-judicial foreclosures, mortgage enforcement and property protection, mortgagees in possession, enforcement of assignments of leases and/or rents, consensual and court-appointed receiverships, property management issues, real estate, title issues and claims, sales and short sales, UCC Article 9 rights and dispositions, mechanic’s lien, judicial lien and tax lien foreclosures and litigation, and OREO sales, property management and eviction. With each of his clients, Marty seeks to establish deep, meaningful and long-standing relationships and values earning a clients’ repeat business. To achieve this, he always puts his clients’ legal and financial goals above all else and he appreciates that a client may be best served by simply providing prompt general counsel advice or by resolving a matter quickly to avoid potential risks and potentially large legal bills. For more involved matters, Marty recognizes that being efficient but ineffective, or inefficient but effective, are both unacceptable results, and he achieves both efficiency and effectiveness by remaining hands-on while utilizing internal practices and procedures developed over time that emphasize leveraging work, when appropriate, to junior attorneys, paralegals and other resources. In many instances, his ability to be effective and efficient allows clients to reduce the number of outside counsel it uses and, rather, look to him for not only complex matters but also a large volume of particular types of cases. So, whether you are a lender dealing with a large, complex Chapter 11 bankruptcy, a lender needing advice regarding a possible commercial foreclosure or receivership, a lender faced with a variety of lender liability claims, a landlord wrangling with a troublesome tenant, or anyone else just trying to recover money or property or to protect their rights, Marty is suited to guide you through the strategies and issues that may arise.